Koble Helps to Solve Your Biggest Business Challenge: Discovering the Right Companies to do Business With! As we continue to spotlight the best resources and tools for entrepreneurs and businesses, we want to highlight the opportunity to gain unrivaled visibility for your company on Koble, a trusted community made up of 11 million B2B companies — including Fortune 500 corporations like General Electric, Oracle and Harley Davidson — looking to do business with a SMB like yours! Koble, which was an official ambassador for the America’s SBDC 3rd Annual SBDC Day on March 20th, helps SMB companies with a focus on selling and buying from other businesses solve their number one business challenge — discovering the right new companies to do business with! 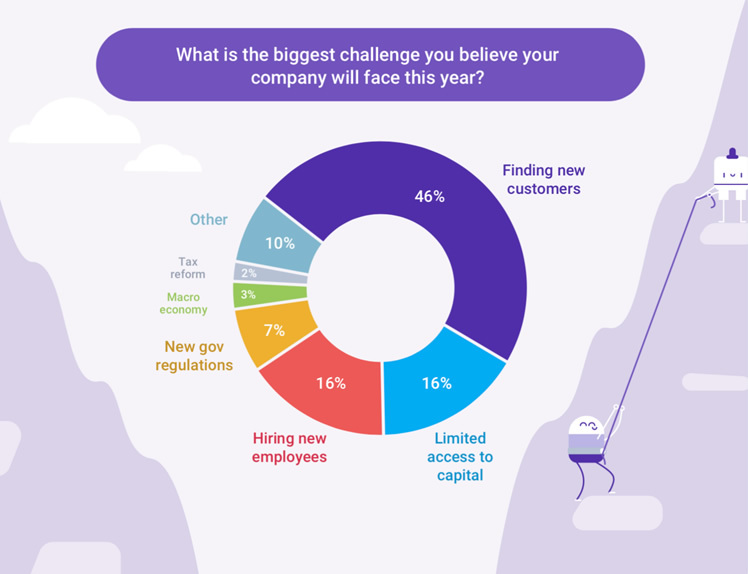 In fact, Koble’s 2018 SMB Sales and Growth Confidence Survey discovered that nearly three times as many SMB owners say finding new customers is a more significant challenge for their company than hiring new employees or accessing capital. Last week, I had the opportunity to present at the Annual America’s SBDC Conference in Nashville about the digital trends that are changing the commerce landscape and their potential impact on small businesses. Although digital commerce is not a new trend, the ways it is continually evolving consumer behavior can present both challenges and opportunities for small business owners. From virtual reality to voice activated assistants, I presented about how digital technology isn’t just altering the way people shop but what commerce can mean. 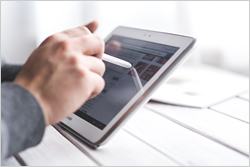 Mobile and desktop channels made the shopping journey less linear. Now, emerging platforms are poised to transform entirely the way consumers interact and transact with their merchants. Small businesses offer a personal touch to their services that chain stores are unable to replicate. They have more latitude to help their customers and provide an experience unlike any other. It goes without saying that behind every successful small business is a lot of hard work and many long hours. Nothing will make being a business owner “easy,” but what if there were a product that could help a small business scale quickly through a system of customer centricity, process streamlining, and acute sales focus? If you are a freelancer or independent contractor in any field, QuickBooks Self-Employed can help you stay prepared for tax time throughout the year. With your input, and by eventually understanding your way of doing business, QuickBooks Self-Employed will help you separate business and personal expenses as well as identify Schedule C deductions. If you need more guidance, or have loyalties to a tax preparer, you can invite them to sign-in to your account so their job becomes easier as well! What makes it so special? Along with the tax readiness, QuickBooks Self-Employed offers tools that help you find and maximize deductions so you can focus on doing what you love. Yep, that means more money back in your pocket and more time to do what you do best. 1) Easily track your expenses. Once you connect a bank account, expense tracking helps you separate your personal and business spending with just the swipe of a screen.